Maybe an eagle flipping you the bird? It’s been a rough, rough patch for the TSA in the wake of the attempted Christmas-day bombing of a plane bound for Detroit. You know what they need? As Tyra might say: A MAKEOVER!!! Let’s do it. I’m announcing the TSA Logo Contest. 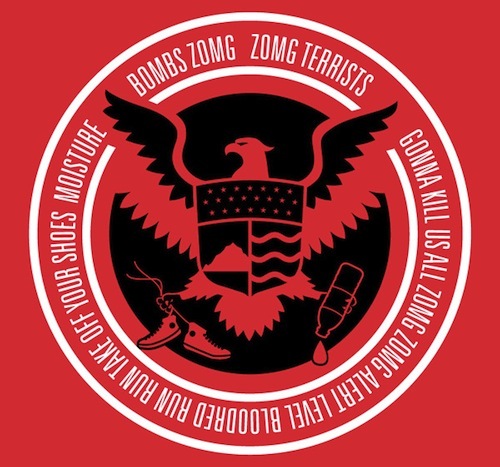 Rules are simple: create a TSA logo. But maybe one of our readers could help either by: Making this viral, or producing their own suggestion for a logo? In all seriousness though–Let’s admit that he TSA is merely a scapegoat. Almost by definition, their mission is pure theater. They’re a whipping boy rendered impotent because they sit as the last line of defense after overlapping bureaucracies from Border Protection to the FBI have failed in their jobs. They employ people making $9/hour to defend our national security. But they’re easy to blame, and everybody’s got an opinion on how to fix them–if only because when people think terrorism and security, they think about having to take their shoes off at the airport. But no amount of full-body scanners will ever be as good as human intelligence. 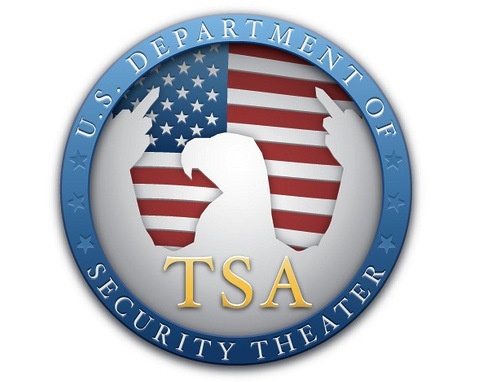 In that respect, maybe it would be smart of the TSA to have a logo that shows their bullshitty mission (a bald eagle flipping the bird?). That way, they could lower expectations.